100% thick nylon rope is twice as stronger as other standard designs, which keeps good balance between lightweight and durability. Nickel coated clasp is good looking and can be used in large pet control. Stitched reflective lines can help you to see the movement of your pet clearly, protecting you and your pet well. 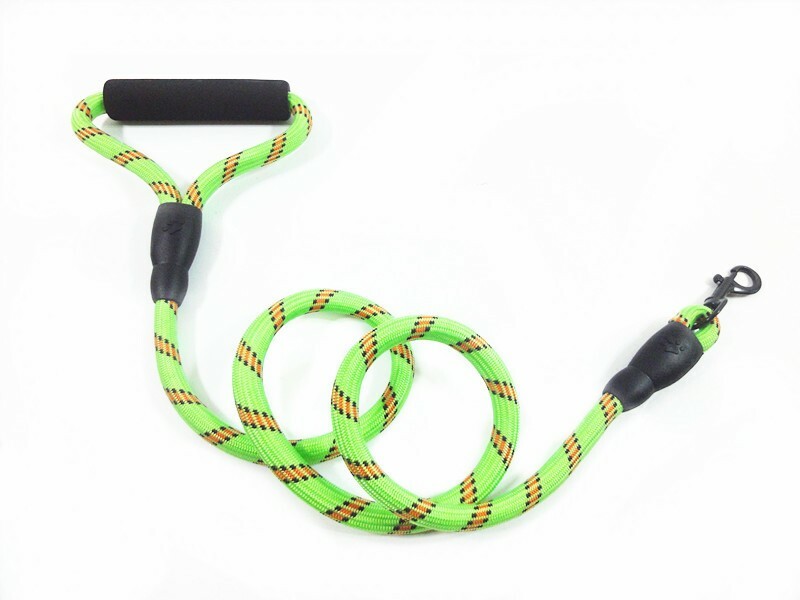 Perfectly designed length makes controlling easily, your dog can enjoy freedom and you can always stay in control. In your home, you don't need to leash your pet. Just let him enjoy the sweet and joy at home. A leash is designed for outdoor. Some people do not like their pets to be controlled under leashes even in public places. But now using a leash to control your pet in public is not just an advice, that has been written into the law as well. Government needs to protect every people who live in the same city. A loose dog might cause some unnecessary problems. If your state does not have that law, the city you are living or the community you are walking might already put the notice.Breaking this law might nor be a big deal until you explain why an animal control or police car is sitting in front of your house.